in your pocket, now's the time to self-reflect…..
and buy a gift (or two, three) for yourself. After all, you really deserve it! 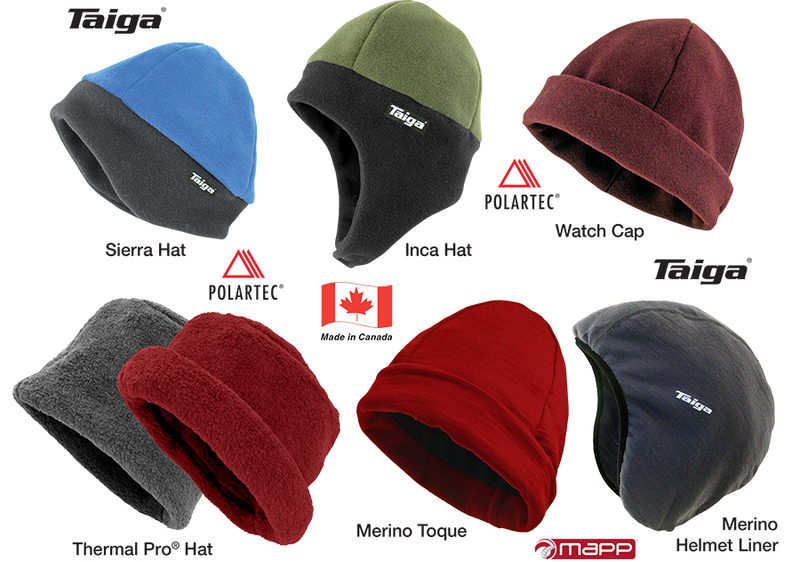 So we'll go ahead and show you more* of the amazing TAIGA® gear that turns cold, dreadful winter into joyful FUN! Not all down jackets are created equal! TAIGA® Down Jackets boast a number of features not usually found on other brands. 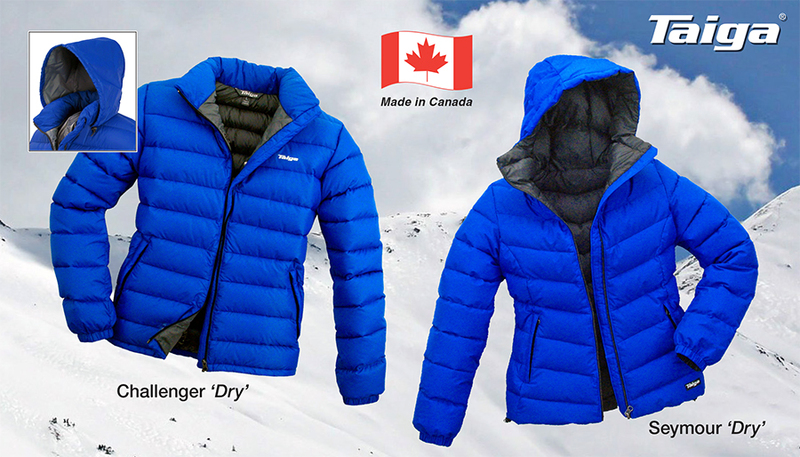 The outer fabric on TAIGA® down jackets is waterproof/breathable DryShell®, sewn with water-repellent thread. Although not completely waterproof, due to the stitch lines, it works well for light rain & soggy snow – plus, the windproof fabric reduces convectional heat loss, which makes the jacket warmer. and then painstakingly quilted by hand. This method "ties down" the down, minimizing the insulation gap, and thus increasing the warmth of the jacket. Down jackets without hood obviously have a huge disadvantage when it's cold & windy. A down hood, however, can be a nuisance when you don't need it. Enter the Hide-Away Hood of the TAIGA® 'Challenger' Jacket. It blocks the wind, even providing a bit of warmth since it's lined – yet it completely disappears in the down collar when not needed. Ideally, this hood is used together with a wool or fleece hat. creating a cold seam along the zipper. which reduces heat loss in this area, and increases the garment's warmth. A waist drawstring eliminates the bothersome "belly bulge" common with down garments. And, in conjunction with the hem drawstring, it also makes the jacket warmer by reducing internal draft. Hide-away shell hood (lined) protects against wind & rain. Stores away in the collar. Baffled shoulder & baffled zipper flap add warmth. (2 outside, 1 large inside). outer fabric cost $370 - $670, and are mostly made in Malaysia. Ideal for tent, cabin/hut or yard. Also good for dramatically increasing the warmth of a sleeping bag (together with a down jacket & booties). Same features as 'Regular' version, but with 3/4-length, 2-way side zippers that open from both ends, and are insulated by generous, not sewn-through draft flaps. See all TAIGA® Down Garments here. microfleece band. Brushed knit liner. microfleece band. Brushed knit liner. Strap with hook/loop fastener. Warmest fleece for its weight. 200 or 260-weight MAPP® Merino wool with Lycra® trim. One size. See all Hats, Mitts & Gloves here. an item priced at Cdn.$ 100 would only cost you about US$ 74 -75.
call 1-866-777-8111 (toll-free in Canada & USA). 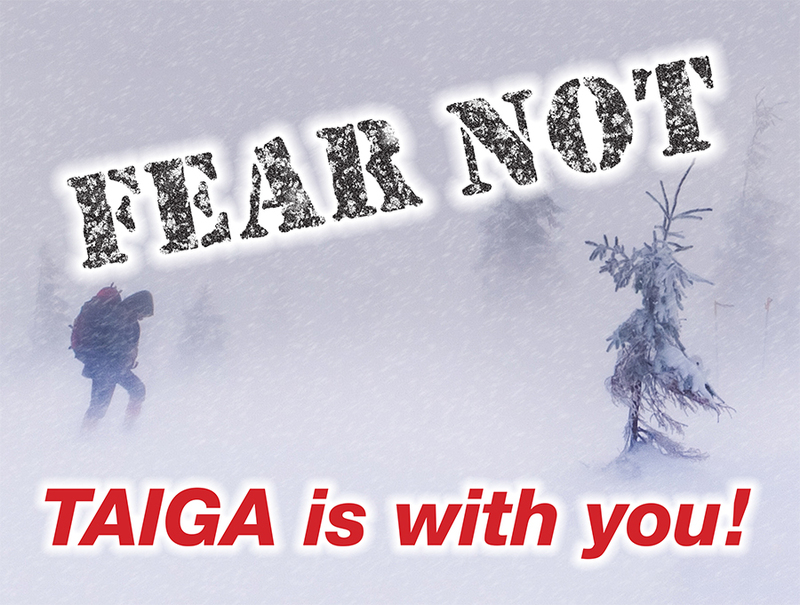 You are receiving our newsletter since you previously expressed interest in Taiga products.